Our friend and Masterchef Champion Chef Tim Anderson advises: “don’t try making sushi first,” as it isn’t the easiest Japanese dish to perfect. With loads of other Japanese classics out there that are super easy to whip up, we reckon he might just be right. Are you keen to start rustling up delicious Japanese dishes that won’t take all day? Let us show you how to begin the journey to Japanese cooking super-stardom by revealing our secret: starter kits and easy-peasy recipes from Japan Centre! So popular in Japan that it can now be called a ‘national dish’, curry first arrived on Japanese shores thanks to the British. Why is it so popular? It’s easy, affordable, tasty and versatile, just look at some of the incarnations above! Our Instant Curry Starter Kit will have you chowing down on Japanese curry in a jiffy. Shop now! In addition to our cracking starter kit, you can check out our selection of Japanese curry recipes here – with step by step instructions on how to whip up this easy and delicious dish. 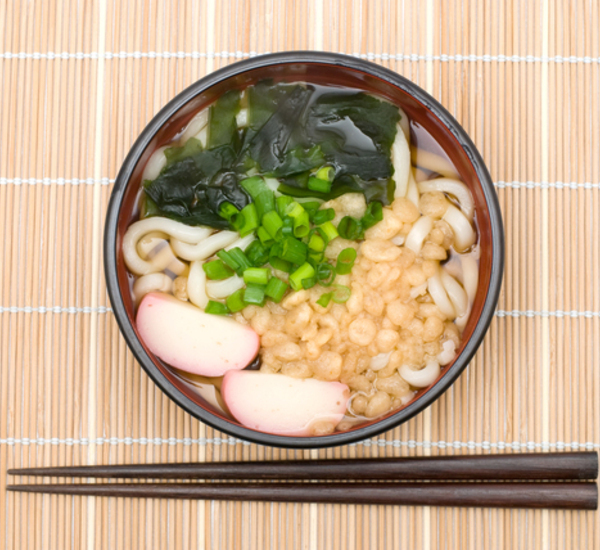 A nation of noodle-lovers, udon is a favourite in Japan for its elegance and simplicity. Cooking up udon dishes is a wonderful way to enter the world of Japanese cuisine, as you’ll get great results without spending hours in the kitchen. With all the bits and bobs you need to make some udon classics, our Udon Starter Kit is the way to go. Shop now! Need recipe inspiration? We’ve got a load of udon recipe potentials just waiting to be tried. OK, instant ramen is easy, but not THAT easy. A favourite of Japanese students and a world-dominating instant classic, being able to bash out a tasty ramen in minutes is a luxury indeed. Instant ramen is a top intro to faff-free Japanese food. A selection of instant ramen favourites from all over Japan in our Instant Ramen Starter Kit, perfect to get rustling up your own ramen in no time. Shop now! If you’re ready to level-up and make your own ramen from scratch, check out our recipes. Alternatively, head down to our lil bro’ Shoryu Ramen, where they’ll serve you up an authentic Hakata-style tonkotsu ramen and even do the washing up for you. Check back next week for Master Japanese Cuisine the Easy Way Part 2 – where we’ll be looking at some other oh-so-simple Japan Centre kits. Posted in Uncategorized and tagged easy cooking, easy Japanese food, instant ramen, Japanese food made easy, Ramen, udon. Bookmark the permalink.